Lego is a line of construction toys that was made by Ole Kirk Christiansen. Lego is really amazing for 2 reasons. First, you can construct anything you want. Second, you can let your mind roam free when you are constructing your creations, let’s call them, when you are building with Lego. This was why Lego was invented, for construction of toys that can. I personally love constructing with Lego, and the reason why Lego is so good for building with is because they have raised parts on them for connecting other pieces of Lego. Which means that anything can be build from Lego. The good thing about let your imagination roam wild is that if you have a huge imagination many things can happen. That is another thing great thing about Lego you can let your imagination roam wild. Kids these days do seem to have big imaginations. Just like me, I remember once when I was 7 I loved the 2nd episode of Star Wars so I built, with my Lego, a fleet of clones of about 50, but there were no droids though because I ran out of pieces. In conclusion, Lego is awesome for building and for the imagination that is why it is so amazing. I commented on Remy’s blog. If I could go anywhere in the galaxy I would go to several planets. First, I would go to Mars. Second, I would go to an uninhabited planet that has an atmosphere and dub it (this is for Tristan and all Halo geeks out there) REACH!!!!!!!!!!!! Third, I would most likely want to visit a planet in Andromeda, which is the galaxy next to ours. Hopefully less-than-light space travel will be invented before I go to Reach and Andromeda. I would visit Mars for several purposes. First, it will be the next planet visited by humans. Second, I have always wanted to have a space rock. Third, the government should not have a big problem about so I could get super quick training and be blasted off into space. Last, I could brag to Tristan that I have a space rock and he doesn't. I would go to that uninhabited planet for again several purposes. First, I have always wanted to feel superior over everyone by having my own planet, even though I may have issues with NASA and the government, so I say “Screw you people, I can do what I want”. Second, if people came and inhabited Reach I would be their leader, which could be good or bad, most likely bad I would say of course because I am a pessimist never a optimist. Third, I could have more space rock and brag to Tristan even more. I would also like to visit some planet in Andromeda for several more reasons. First, you guessed it more space rock and bragging to Tristan. Second, to see the wonders of the planets on Andromeda. Third, help scientists like Tristan in the future answer questions about Andromeda, and all the age old questions. Last, I can be the guinea pig for less-than-light travel. Well, now you all know what planets I would like to visit if the government lets me. Stinking Feds and government officials not letting me go into space and lead my own followers. Oh well, I most likely would not have done it anyway, but if I could if the government doesn’t stop me I totally would, but you all know me I am a pessimist so I always assume the worst. I commented on Hunter’s blog. My predictions for the Stanley Cup playoffs are really quite simple. Between the Blackhawks and Canucks, Vancouver is most likely to lose because the Chicago Blackhawks have a speed advantage, and what the Canucks have is skill and skill always loses to speed. Between Detroit and San Jose, Detroit is likely to win because of the experience that the Red Wings have the experience. Between the Penguins and the Canadians the Habs will lose because the Pens have the skill, speed, and the experience, Montreal got lucky when they won against the Caps, the only way that Montreal could win is if the Penguins just got too over-confident or if their play is just sloppy and Montreal takes advantage. Between the Flyers and the Bruins it seems like the Bruins are most likely to win, but it could go either way even though that the Bruins have the 2 game advantage. For the Semi-finals the Penguins, Detroit, Chicago, and Boston are in. For the games Pittsburgh and Boston it looks like it could go either way, so it really depends. Between Chicago and Detroit most likely Detroit will win because of their experience again. So the potential for another Final repeat is quite high. For one reason, Detroit had another easy way to the Stanley Cup Final. First, Detroit made easy work of Phoenix because that was for the first time that the Coyotes were in the playoffs. Second, Detroit has a lead against the Sharks in the series. Third, Detroit can make again easy work of Chicago even though they are the 1st seed in the playoffs. For the Final, I am not exactly too sure what will happen. I think that it could go either way. The Finals series between the Detroit ad Pittsburgh is tied at one cup a piece. Pittsburgh is quite a young team that has skill, speed, and dreams. Detroit is an older team with some young people there, that has experience, skill. When it comes to offense Pittsburgh does have a slight advantage. Defence, Detroit has an advantage. For Goaltending, Jimmy Howard of the Red Wings has been doing quite well, and for that reason I would say that it is at a tie. So for these reasons this series will easily go to a game 6 or 7, it going to be a good series. In conclusion, based on the facts that I have here the Stanley Cup could be won by the again either the Penguins or the Red Wings. We will have to wait and see. My favourite teams in the NHL are the Toronto Maples Leafs obviously, the Vancouver Canucks, and the Phoenix Coyotes. I don’t tend to watch any other sports than hockey. I like the Maple Leafs for several reasons. First, they were an amazing team in the early 2000s with old veterans, and good young rookies. They are stinking now, but that will change with the help of Bryan Burke, the best general manger of the NHL. Last, they have the second most amount of Stanley Cups with 11, currently Montreal has the lead with 24. I like the Vancouver Canucks for several other reasons. First, they’re not that old of a team, maybe about 10-20 years their organization has existed, and already their team nearly won a Stanley Cup on several occasions. Second, before I knew about the Leafs my favourite teams was the Canucks. I like the Phoenix Coyotes for one reason and this is it. After all of the controversies of being sold to Jim Balsilie and moved to Hamilton, and during the beginning of the season and looked like it was over for the Coyotes, but at the end they started to win a lot of games and climbed in the standings and was first for some time, but then they lost a few games and ended up in fourth place, and were knocked out of the playoffs by the Detroit Red Wings. In conclusion, as you can see I don’t only like the leafs (stinking haters) I like other teams. I commented on Fabian’s blog. ITunes and Limewire the question is which one is better? Personally I think that Limewire is better for several reasons. First it is all free, but it is illegal in US for that reason. Second, it is good for downloading music and movies and stuff like that, ITunes is only good for holding music and movies and all that stuff. Last even if the artist is not well known in the world or if the music or movie that you want to get is currently not out Limewire is still capable of letting you, the costumer downloading it. Yet with every good downloading company there are its cons. It may be illegal in the US to have and download things from Limewire, but not here in Canada and many other places. When it comes to downloading Limewire is more quick than ITunes and doesn't need money to get what music, movies, and pictures that you want. Even if the thing you want to get is not out you can still get with Limewire. One con about Limewire is that everything that you download takes up a lot of memory that is why ITunes is good at holding music from that reason memory. In conclusion, seeing as there are more pros than there are cons in this post it proves that Limewire is more better and capable than dumb ITunes. Stinking Limewire haters. I commented on Remy’s post. The Mythbusters is a science entertainment shows where five people named Adam Savage, Jaime Hyneman, Tory Belleci, Kari Byron, and Grant Imahara. They take myths, legends, movie scenes, and sayings and put them to the test. The Mythbusters often test myths in two-step process. First, they would make a small scale experiment to understand all of the physics. Second, they would go full scale and test the myth to see if it is true. Sometimes thought so of the myths are so simple they just go for full scale. An example of this is was when they tested if one banana peel equals one person slipping and falling, but at times they see that going full scale is sometimes not the best way to test the myths and run some small scale tests to again understand the physics of the myth. The Mythbusters are based in San Francisco and all of the filming is also done, but the show is produced in Australia. Then it is shown in Canada, the US, and several other countries. After the experiment of a myth has been tested, the Mythbusters give the myth a busted, plausible, or confirmed. When a myth is busted, it means that the myth could not be replicated in any way even if they give it thee best possible chance of working. When a myth is plausible, the myth parameters have been replicated by expanding it by a realistic and reasonable margin, or was replicated very close as the myth said, or if the myth worked, but has a very small chance of working, and even if it is plausible, but the method of replication is not recommended, as well as if the scenario made a very similar result. When a myth is confirmed it means that the myth was either been recreated or closely recreated without them expanding the boundaries too much. In conclusion, Mythbusters is known very well for the science implicated and all of the big explosions and crashes that are shown (the explosions and crashes are the crowd pleaser). This is why I really like this show for learning purposes and the ability to see a big explosion or crash now and then. Future weapons is a show that showcases some of the smartest, and deadliest weapons of the future. It was hosted by Richard Machowicz who was a former navy SEAL sniper. It features many guns, missiles, bombs, planes, and tanks as well as many other things. The weapons it feature are the TAR-21, cornershot, starstreak missiles, anti-missile lasers, and the XM982 Excalibur artillery shells, as well as the feared metalstrom capable of shoot 100000 rounds a minute which is scary. 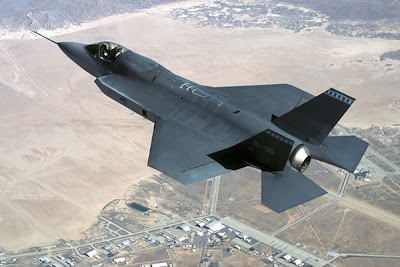 It also features vechiles such as the type-212 submarine, the feared AH-64D longbow Apache helicopter, the F-35 JSF (joint strike fighter), and the F-22 raptor, and the NOLOS cannon as well as many other things. In conclusions, the world of the military is advancing very quickly, and this show shows us what we are capable of.